*** Discontinued Model *** A traditional jumbo body is paired with a fast-play neck to bring new life to a celebrated design. The full-sized body produces thunderous bass response and distinctive treble clarity. 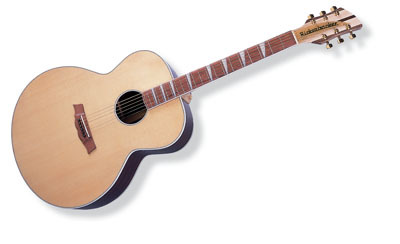 The Shasta has solid Rosewood sides to produce a more mellow tone. A twelve string version of each is also available.